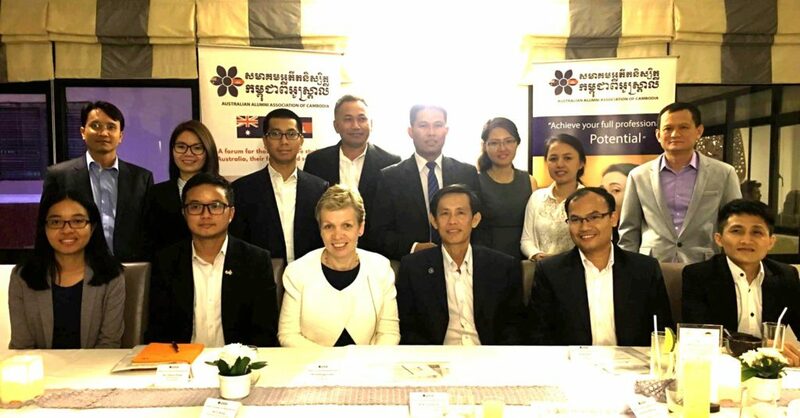 The Alumni Conversation and Mentorship session #2 was organised on Tuesday, 6 December 2016 with a prominent guest mentor, Dr Leonie Lethbridge, CEO of ANZ Royal Bank Cambodia, in attendance. The session created the opportunity for our alumni members with related academic and professional background in business, banking, accounting and finance to exchange and learn from the expert in the field. During the session, Dr. Leonie Lethbridge, shared her stories, experience, and advice related to her personal achievement and professional endeavour. She also shared her perspective on Cambodia’s economy and financial institutions in the country and in Southeast Asia.